Do you understand what "Idle" means? 97-99% idle means only 1-3% of the CPU is being used. So let me put it this way - are you concerned that 1-3% of the CPU is being used when the system is sitting idle (aka not running any programs)? And there are optimal ways of configuring the devices depending on how many devices you have & whether they are HDDs or optical drives. I won't bother listing the possibilities because you have provided no systems specs. 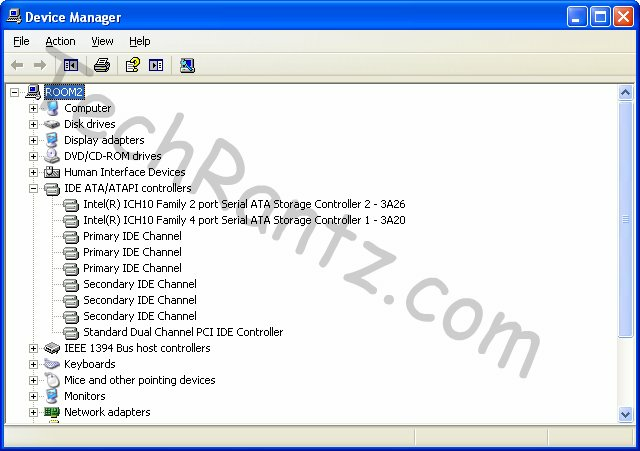 As for the listings in Device Manager, it's not unusual to have duplicates. If you're concerned, right click on each one & click uninstall (if it will let you). Uninstall all you can, then reboot & Windows will re-install what it needs. That is normal, not a problem at all Absolutely nothing at all to worry about. System Idle is as the name suggests, idle time when the CPU has got nothing to do which is the case most of the time for all CPUs. If System Idle Time was only 10% then you would have something to sorry about. As for the primary and secondary IDE channels, I think you are reading the information wrong. Impossible to have two primary IDE channels. Best follow that old adage, if it isn't broke, don't fix it. According to this there is a way to fix. I am looking at the device manager. Under IDE ATA/ATAPI there are two different ATA Storage Controllers (both are Intel but one is Two Primary IDE channels and one secondary IDE channel. Any suggestions? Older motherboards had 2 IDE controllers. Each one had a primary and secondary channel. So it IS possible. The above is what is to be expected. If you have an older motherboard with 2 IDE controllers you need to make sure you have the motherboard chip set drivers installed. Check the drive properties to see what mode they are running in. You also need to use an 80 wire/ 40 pin IDE cable in order to attain maximum speed. See the link below for help identifying your cables. Each one had a primary and secondary channel. So it IS possible. OK, 2 channels with each supporting 2 devices. OtheHill, it was your solution that worked in the link I posted. Any idea how to do this with 2 IDE channels? System idle is confusing. Basically the higher that number the more computing cycles are available. So your numbers are where they should be. I don't believe you have an issue that needs fixing. If you installed the chip set drivers then that should have taken care of both channels. What issues are you currently experiencing? Post your computer brand and model or if a custom unit the motherboard model and version.